WASHINGTON — With cold weather here, now is the time to take action to prepare your home. Bone-chilling weather from Winter Storm Harper sent temperatures into the single-digits and brought 50 mph wind gusts to plunge temperatures even colder. 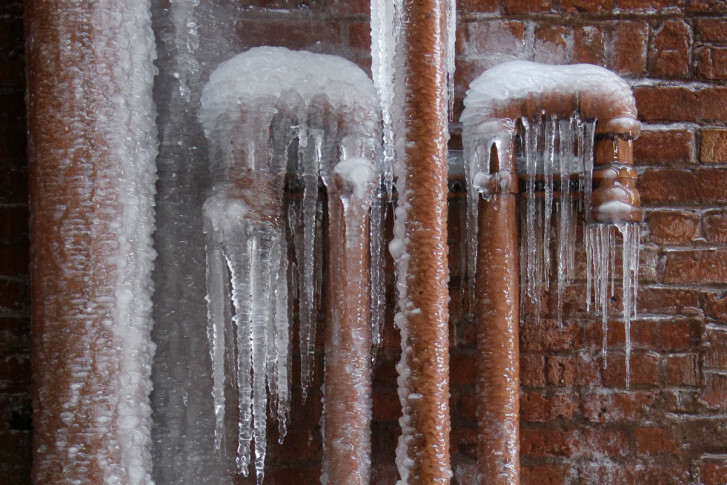 In a news release, AAA Mid-Atlantic says that sudden temperature drops, poor insulation, and incorrect thermostat settings all are main causes of pipes bursting and causing water damage. To protect your home, make sure pipes have the proper insulation. Leaving cabinets open can also help get the heat from your home to pipes under the sink faster. When the family goes to bed, hold off on lowering that thermostat. Because sudden temperature drops can cause freezing, it’s better to leave the house’s heat at the same level. Leaving a sink dripping with warm water can keep water flowing through the pipes, making it harder for them to freeze. If you turn on the faucet an no water comes out, your pipes are likely already frozen. The best thing to do is thaw them before they burst, but never do that with a torch or open flame, as it can cause a fire. A hair dryer is a good tool to warm them back up. Everyone in the home should know where the water valve is and how to turn it off, to limit damage in case the pipes do burst. Most standard homeowner insurance policies cover winter-weather-related damage, but it’s important to know what exactly you’re protected against. Homeowners have made more than $4 billion worth of claims from frozen pipes over the last ten years, according to the Institute for Business and Home Safety. If you have to make one of them, it’s important to take a lot of pictures and keep all of your receipts related to the damage.